Playing videogames isn’t always about being the hero of your own story. Sometimes you are just the supporting character, watching from afar as the real adventurers strut about pompously, their chests puffed out from all their heroics. The first time I knew I was a supporting character in a videogame was in Half Life: Blue Shift. As a Half Life expansion pack, the story puts players in the shoes of the security guard, Barney Calhoun, when Black Mesa was invaded by aliens. Slight but probably inconsequential spoiler: the game ended when Barney made his way to the surface and escaped the facility. He did spot the protagonist Gordon Freeman a few times, but aside from helping a couple of scientists, Barney didn’t really have that much of an influence in the Half Life narrative. He was, after all, just the supporting character. Although he did owe Freeman a lot of beer. Another game that lets you take control of a supporting character? Well, The Witcher 3: Wild Hunt. And nope, I’m not referring to Ciri, the ashen-haired ward of Geralt of Rivia. It’s Geralt of Rivia himself. 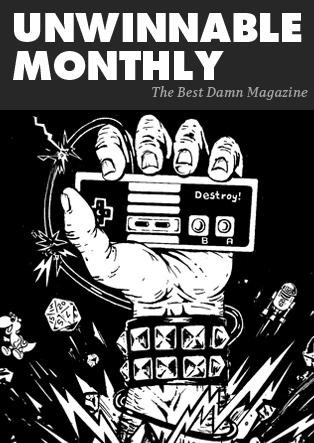 If it’s not obvious enough, spoilers galore—and if you haven’t played Witcher 3 or any of the previous games before, I highly suggest you do the following: book an underground bunker for a year. Bring tons of food. Purchase the entire Witcher novel series and the three related videogames. Read them all. Play them all. Come out for air occasionally. When you’re done, read all the Witcher 3 hot takes. And hey, you’re probably just in time for the Witcher Netflix series too. It’s worth it. 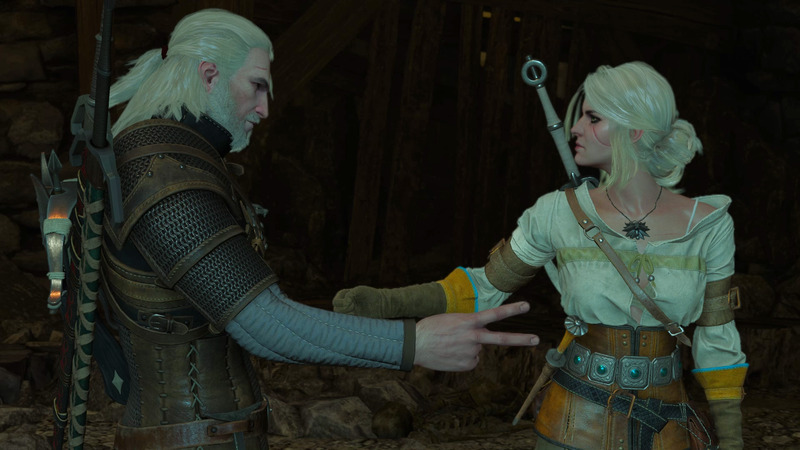 There are three ways Witcher 3 could have ended after Geralt finds his adopted daughter, Ciri, and defeats the big bad known as the Wild Hunt. Ciri can die from the White Frost, a terrible phenomenon capable of freezing entire worlds. Or she can survive from the encounter and become an Nilfgaardian empress. She can also follow in Geralt’s footsteps and be a Witcher. Unfortunately, she died in my playthrough of the game. Having lost a daughter he loved so dearly, Geralt was overwhelmed with sorrow. His crushing grief brought him to the last of the Crones, who had stolen Ciri’s medallion during a cinematic battle between them. Upon finding the medallion, he took it in his hands and wept, as monsters slowly swarmed in around him. It was a harsh, brutal ending—one that left me in shock for several hours after. I’ve had my share of unsatisfying videogame endings, but this one was particularly painful. 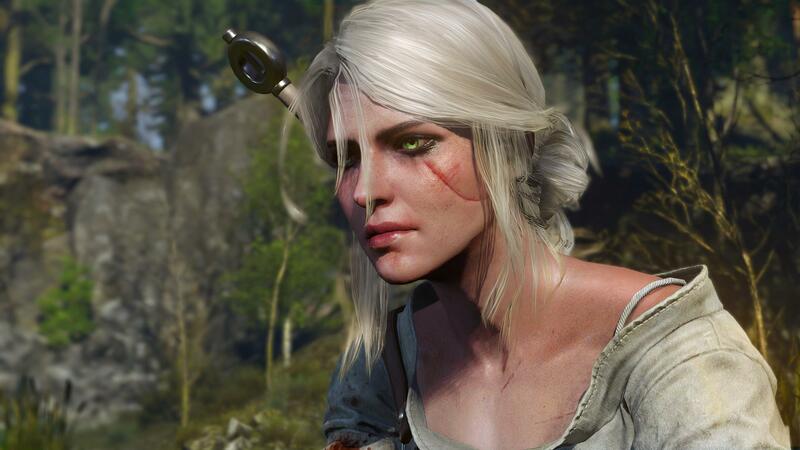 Ciri happens to be one of my favourite fictional characters; she’s feisty, free-spirted, talented, and is as powerful as she’s kind-hearted—traits you wouldn’t expect to see in anyone from the corrupted universe the Witcher is set in. This is a world where incestuous relationships take place to consolidate political power, racism and elitism are par for the course, and compassion is in extremely short supply. This universe is filth. I only wanted to protect her. So I unwittingly made a series of terrible decisions. When she was harsh on herself after a dreadful battle that resulted in the death of her mentor, I told her that it’s okay not to be good at everything. I didn’t take her to see her father, the Nilfgaardian emperor Emhyr, because he’s a scumbag and I was pretty sure he just wanted to sleep with Ciri to secure his position as king. I accompanied her to a meeting with the Lodge of Sorceresses—a group behind some of the most insidious political machinations in the series—because she looked like she was stressed out and needed help. And when she lost her temper and wanted to tear down someone else’s laboratory, I told her to calm down because well, destroying homes just doesn’t seem like a nice thing to do. While these weren’t morally reprehensible choices, it only dawned on me later that these were still appalling ones. Here’s why: the game isn’t about Geralt of Rivia and his witchering adventures. Witcher 3 is, in fact, a coming-of-age story about Ciri, a young woman coming to terms with her tremendous powers and responsibilities. Here’s a woman who can travel between worlds with ease, defeat legions of Aen Elle elves with a few flicks of her sword, and was actively courted by some of the most powerful sorceresses to join their underground club because of her affinity with magic. But as Geralt, I had to ruin it all. I have hindered her growth and progress, and failed to give her the support and confidence that she needs to be herself. I had neglected to show her that she is more than capable of making decisions on her own, that she can deal with the consequences of her own actions—because she’s an adult, and an incredibly mature one at that. On the other hand, as a 100-year-old Witcher who has probably seen it all, Geralt needs no more growth in this story; he is merely a supporting character in hers. That is why she lost faith in her own abilities and didn’t survive. I originally made plans to return to Witcher 3 after I’m done with the main storyline. Perhaps explore the continents a little more, peek into caves for more monsters to hunt, and visit Ciri occasionally to see how she’s doing. I’ve enjoyed my time in Witcher 3 so much—all 145 hours of it—that I thought I was reluctant to leave the game. But with this ending, I feel like I can’t go back anymore. Like Geralt, I can’t go back to a Witcher world where Ciri doesn’t exist, where I’ve failed so miserably as a parent and guardian that my decisions have caused the death of a woman so dear to me. In the final act, the last Crone mocked Geralt by telling him that Ciri was truly dead, and that she knows that he was only hunting her down because he was desperately seeking death. Surrounded by a horde of Necrophages in the Crone’s hideout and clutching Ciri’s medallion close to him, Geralt was already in his death throes. He could easily fend them off, but I know he wouldn’t—because nothing else matters anymore.